"Chipotle is a great option, but we didn't want to eat there for every meal," she said. So she launched Organic Coup. 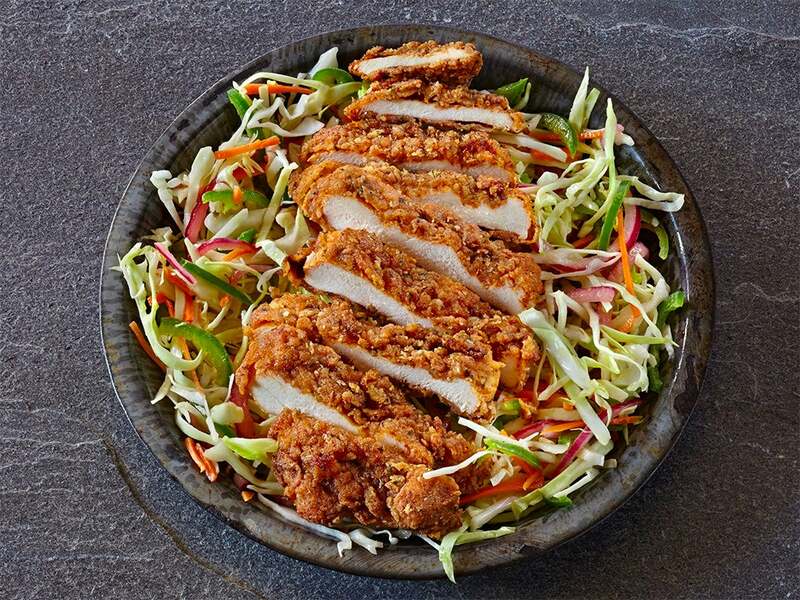 The first location opened last month in Pleasanton, Calif. Welton plans to open 25 more restaurants over the next 14 months, mainly on the West Coast. Eventually, she wants to expand to cities including Las Vegas, New York City, Austin and Chicago, she said. Welton went through the process of getting the chain certified by the USDA because she wanted customers to be able to trust Organic Coup's promise of organic food. "I didn’t really understand how few restaurants were certified," she said. "I was shocked to find out that we were actually America’s first certified-organic fast-food chain." The restaurant's specialty is its spicy fried chicken. It's made from organic, air-chilled chicken fried in coconut oil. "It's the most expensive oil we could have chosen, but it has good plant-based fats, no cholesterol, and it's high in Vitamin A." The menu is pretty simple. 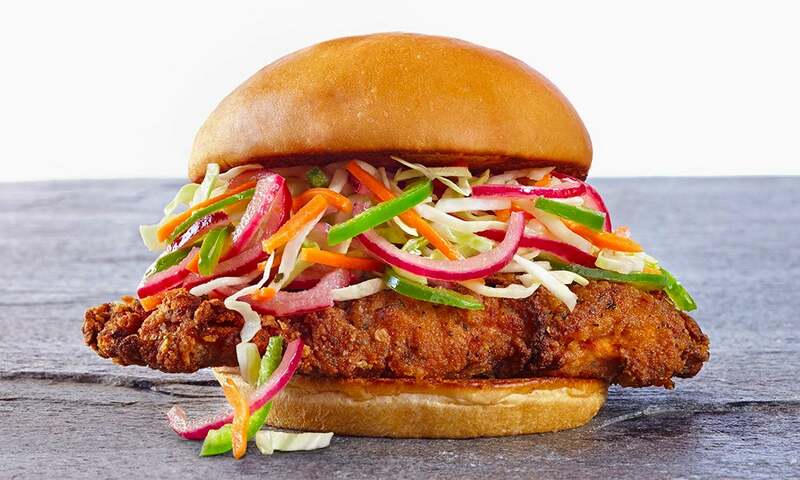 Customers can get the fried chicken with a range of sauces on a bun, in a multigrain wrap, or in a bowl with shredded vegetables. The only side available is organic popcorn covered in caramel and drizzled with chocolate. "We have the Costco mind-set focusing on doing one thing great," Welton said of the fried chicken. 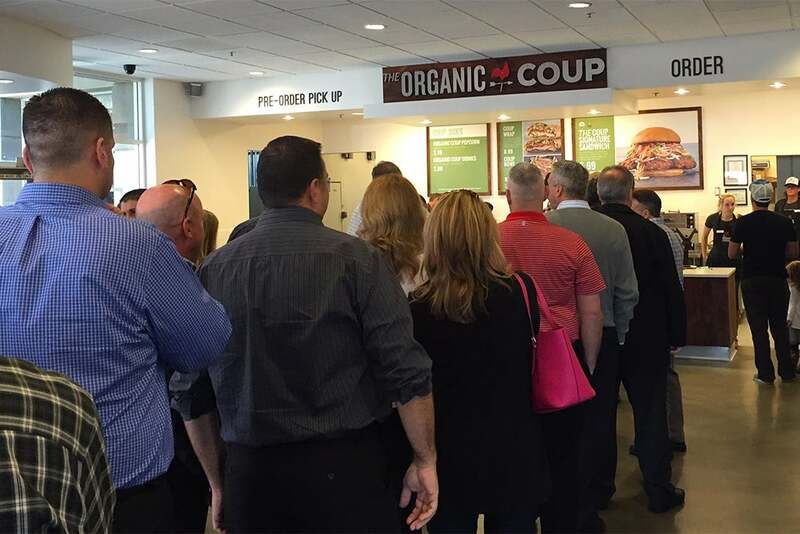 Organic Coup is pricier than your average fast-food restaurant. The fried-chicken sandwich costs $8.99, compared to under $4 for a chicken sandwich at Chick-fil-A. But it seems like plenty of people are willing to pay up for the organic label. The restaurant has only been open for about four weeks and it has already racked up nearly 100 reviews on Yelp and Facebook. 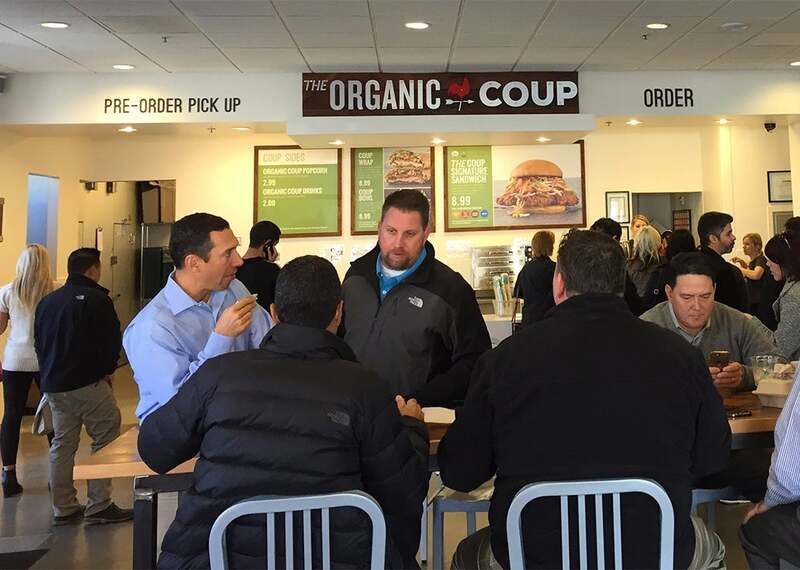 On Yelp, Organic Coup has a rating of 4.5 out of five stars. One reviewer described the chicken as "juicy, tender and spicy." Another person referred to the popcorn as "legal crack." Several people suggested that the restaurant start selling sweet-potato fries. "I love that it is organic and I don't have to think about 'what's in this,'" one reviewer wrote. " I also love that it was FAST. I ran in, ordered it and got back to the office with time to eat."